Granite Falls Golf Club offers two 18-hole golf courses, the North and the South. The North Course is the original course of the club. 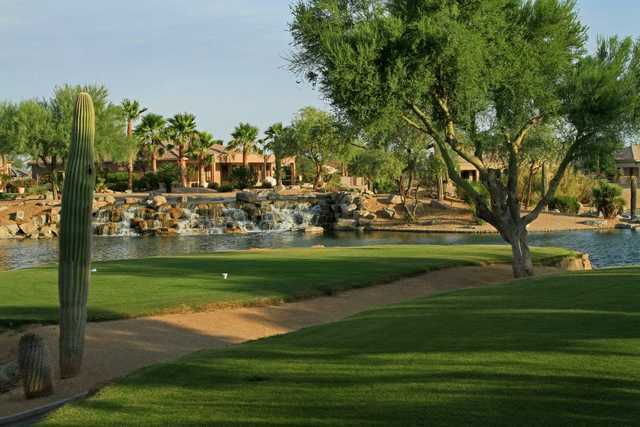 It is a relatively open golf course that is most known for its unique water features including serene waterfalls and scenic fountains. Granite Falls Golf Club offers two 18-hole golf courses, the North and the South. 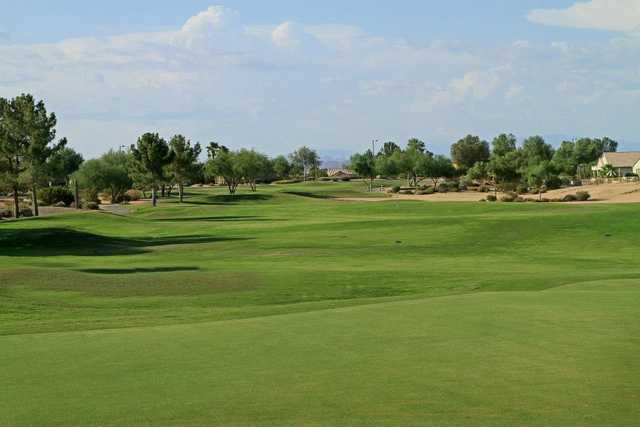 They are two of four public golf courses in the Sun City Grand residential community in Surprise. The North Course is the original course of the club. It is a relatively open golf course that is most known for its unique water features including serene waterfalls and scenic fountains. Lakes also come into play throughout the golf course. 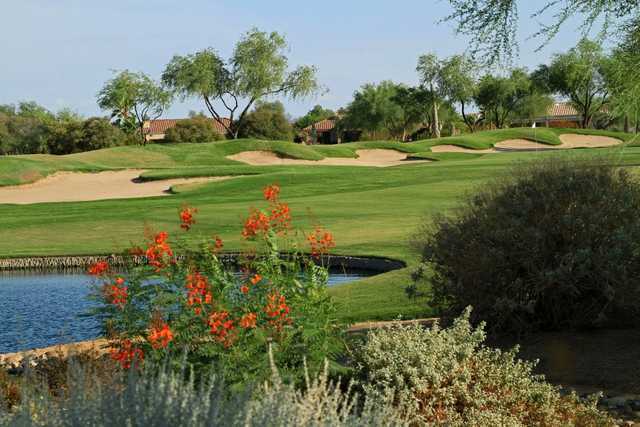 The layout features generous, player-friendly fairways and greens that appeal to both low and high handicappers. One of the most challenging holes is the par-4 15th. The hole plays to an island green protected by bunkers and the second shot is considered a true test of skill for even the most experienced players. Beautiful challenging facility. The conditioning of this course is top rate, the Greens, fairways surrounds are perfectly manicured. the only suggestion I have for better greens would be for the superintendent to transition to walk behind mowers in the season. The tri- plex ring is obvious and impacts playing conditions. now it's green! the hardest back nine in SCGrand. Course was very dry and brown, yea it is summer and hot and $18, but I expected to at least be in decent shape. I mean even Encanto is greener than this was.